WorldAntique.net - English wheel barometer, 19th century. Tuesday 23 April 2019 02:25 | WorldAntique.net in 2 countries | 69 antique dealers present: 140,863 antiques with photo. 9 conservator, 4 antique fairs, 4 associations. English wheel barometer, 19th century. English wheel barometer, 19th century Mahogany box. 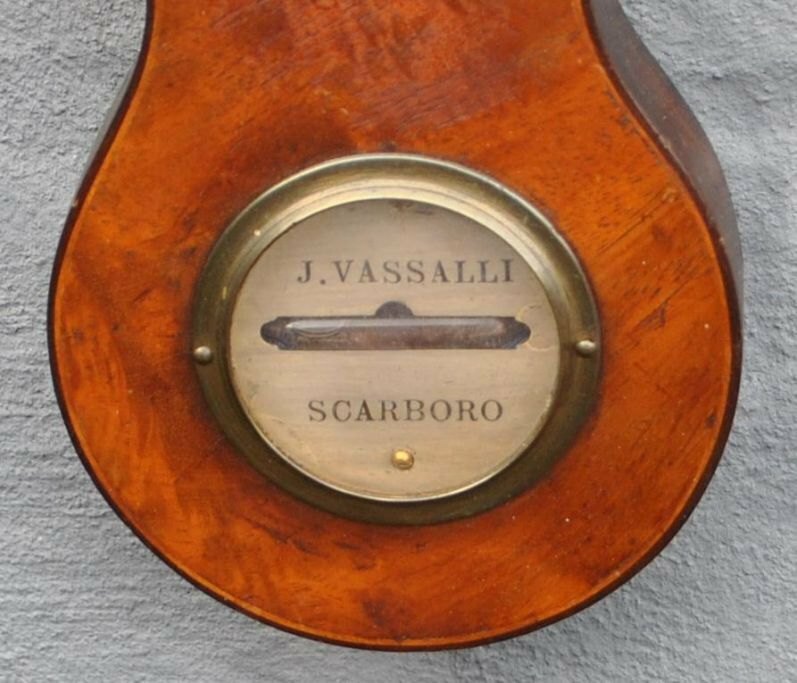 Signed: J. Vassalli, Scarboro. With alcohol thermometer, hygrometer, etc. H .: 99 cm.